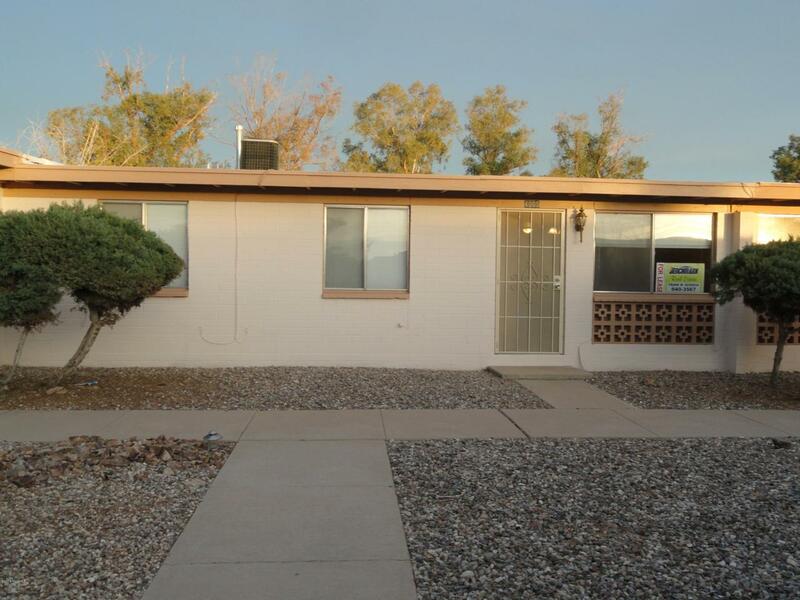 EXCELLENT OPPORTUNITY FOR INVESTOR OR OWNER OCCUPIED CONDO-- REMODELED AND UPDATED CONDO, IN MOVE-IN CONDITION. Flooring is Ceramic Tile and Carpet in Bed Rooms. Open floor plan. Fully equipped kitchen including Dish Washer, and Micro Wave. Separate room for Washer and Dryer, Appliances included. Newer Furnace and Central AC. Lots of closets. RECENT ROOF REPAIRS COME WITH 2 YEAR WARRANTY. Front faces large, open, attractive, and well maintained, court yard as common area. Private, covered parking in completely fenced back yard with covered single Car Port. Convenient and desirable location. Come see it before it gets sold. Courtesy of Gs Benchmark R.E.. Listing provided courtesy of Gs Benchmark R.E.. Listing information © 2019 MLS of Southern Arizona.